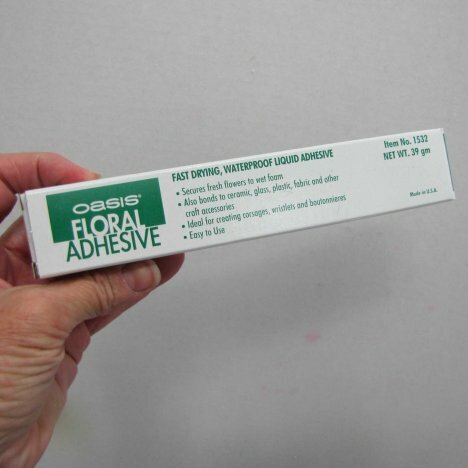 There are several brands of floral adhesive available today, but my favorite is Oasis. 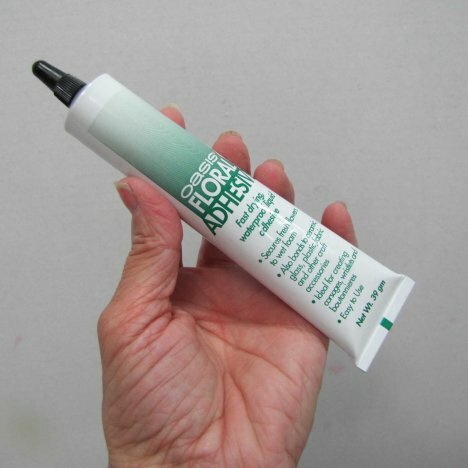 This large tube had enough adhesive to make many corsages and holds flowers very well, even when wet or chilled. 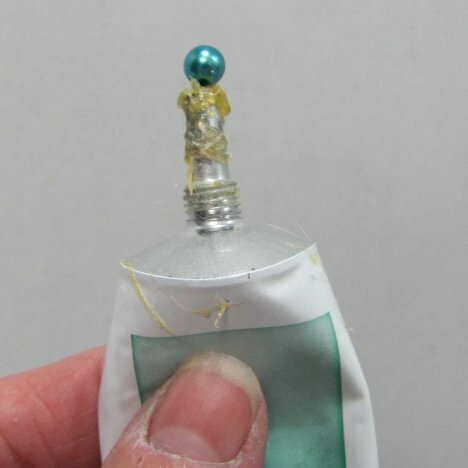 You have to be careful when opening this tube, however, because the glue is under pressure and spills out the nozzle quickly when first opening the glue. As you can see it can quickly cake around the nozzle, making it a little frustrating to twist the cap on and off many times while designing. 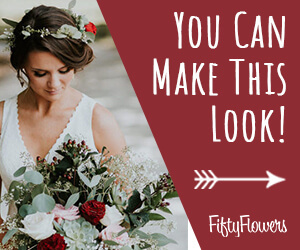 An easier solution is to have a pearl headed corsage pin handy and insert it quickly into the tube upon opening. 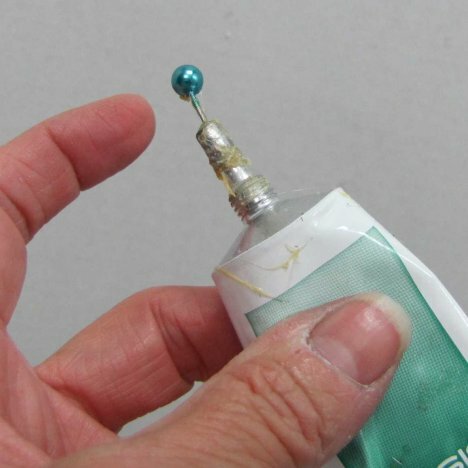 This keeps the tube nozzle free for the glue to flow and keeps the glue from leaking out of the tube between uses. I just pull the pin in and out while designing, quick to replace it to prevent leaks when I'm not using the tube.